An outdoor living space lends to endless design possibilities. Living in Canada we relish the time we have in the sun. 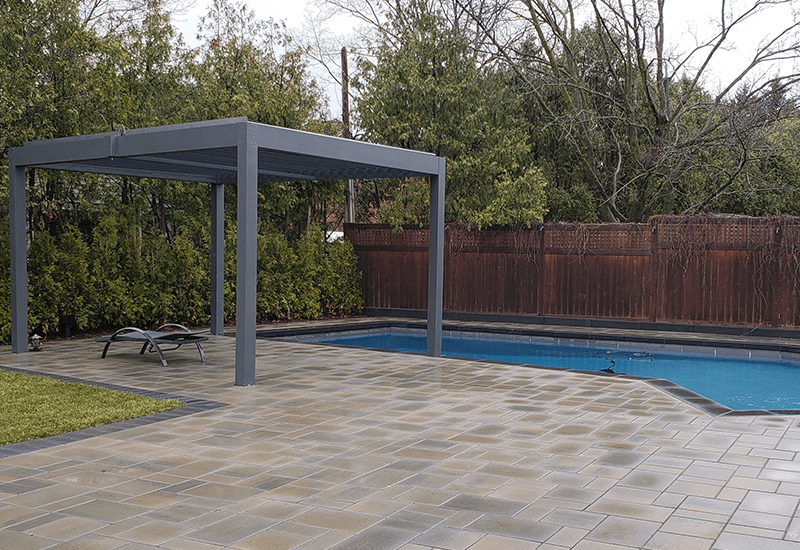 As your design comes together you reach your “patio”. This area can take on many different forms. 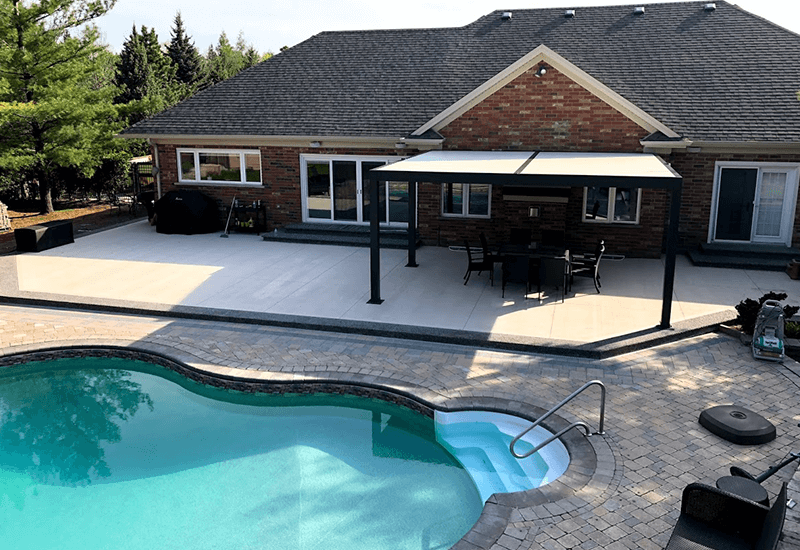 Your patio space can be attached to your home or business and helps create an extension of your indoor space, or it can be its own entity, commanding its own space on your property and creating a new outdoor living environment for your friends, family or patrons. 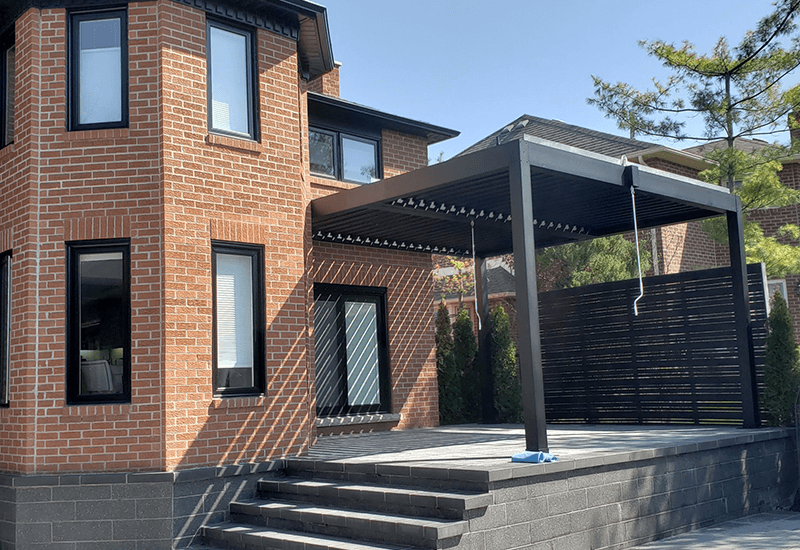 A patio pergola is a structure that adds a level of protection from inclement weather and also adds a distinguishing and unique aesthetic to your outdoor living space. 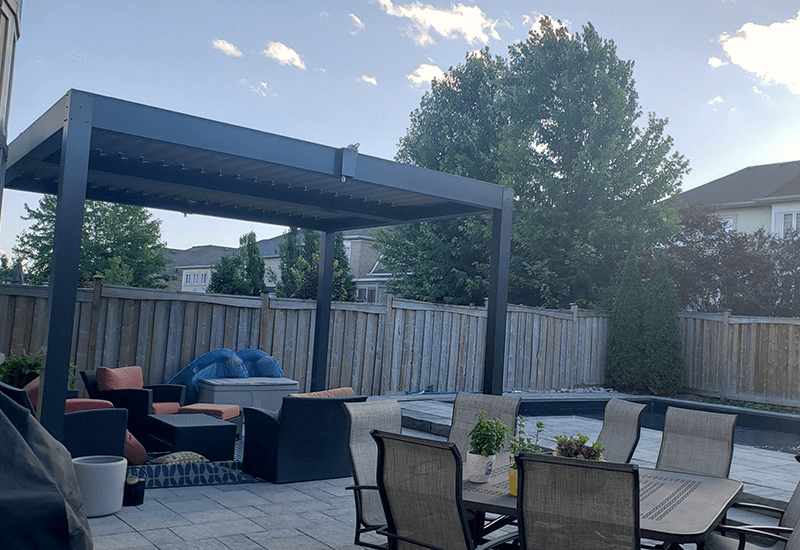 Typically a patio pergola is a static structure that may combine some fabric elements for elemental protection, and is built to add a unique look to your outdoor space. 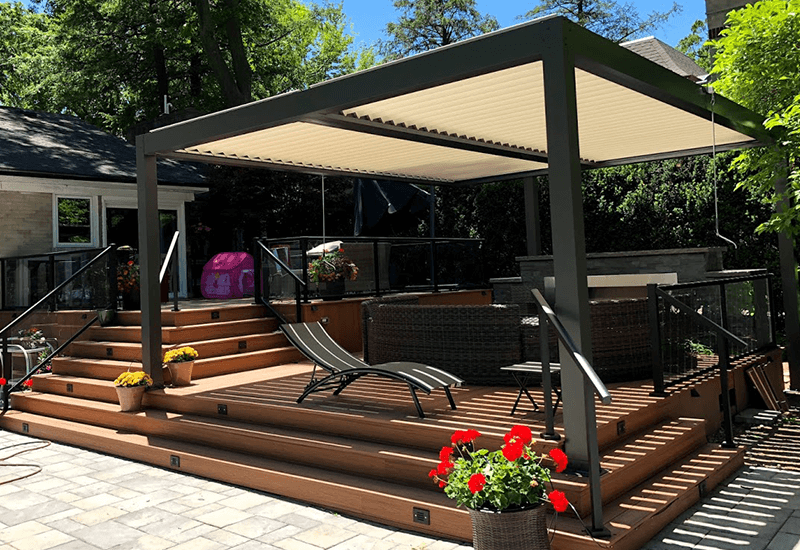 Our aluminum louvered pergolas offer a level of functionality and durability that a typical patio pergola cannot offer. We offer a custom built solution what will add value to your home or business and will stand the test of time from the elements. We are the only company in the GTA to offer a product that is manufactured in Canada. 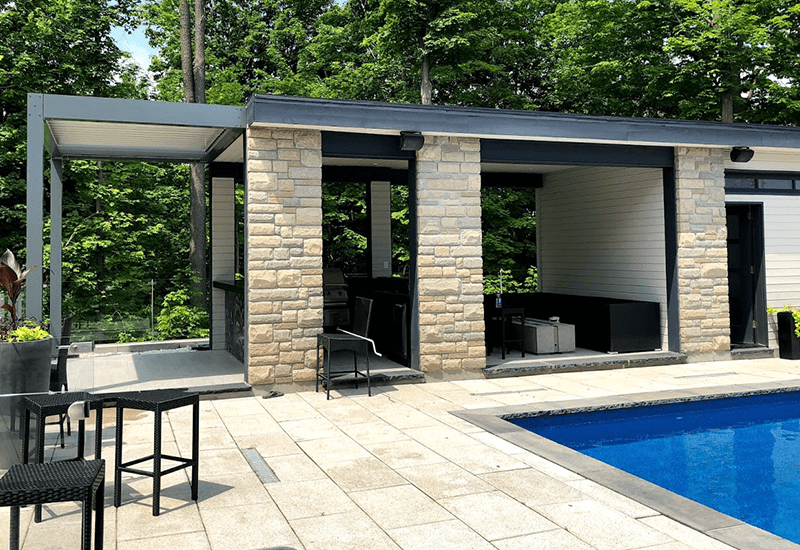 Our aluminum louvered pergolas have a 10 year warranty and are inspired by modern influences and styles. 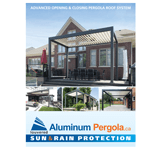 Our aluminum louvered pergola can be anchored to an existing concrete patio or we can create the anchor points ourselves. This adds to the structural integrity of the pergola. Our louver system allows you to let in as little or as much sunlight as you want. When completely closed the louvers lock together forming a watertight ceiling to protect you and your friends and family from the elements. The built in trough system directs the rain water to out spouts and keeps you dry. 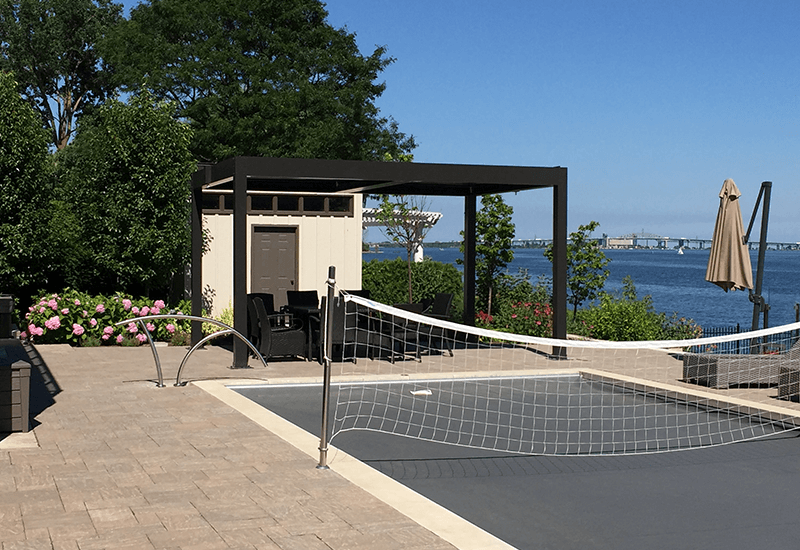 Our aluminum louvered pergola system also allows for add-ons such as privacy screens, insect mesh, and audio visual integration. A patio pergola is a no-brainer. 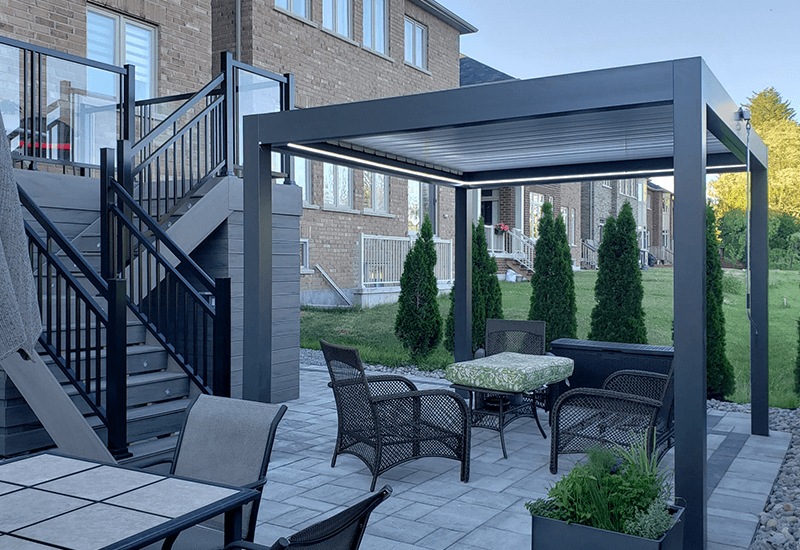 Our aluminum louvered pergola will take your patio to another level. 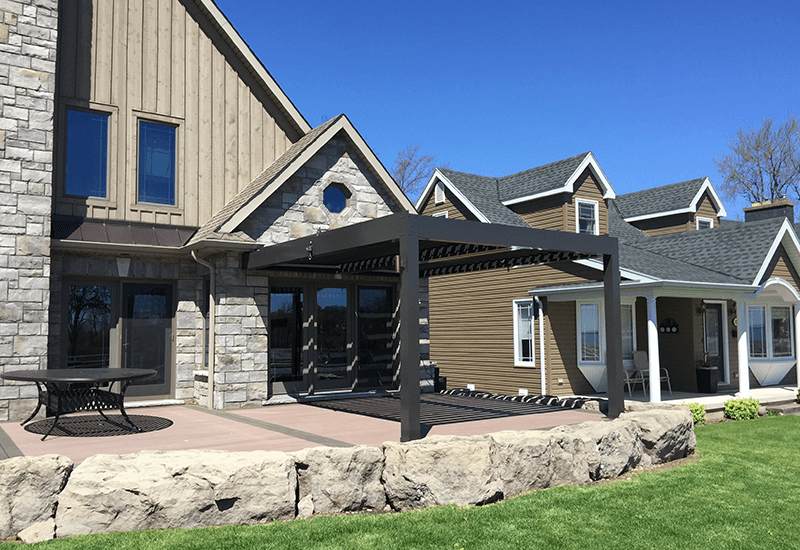 It offers the adaptability that a typical static pergola cannot offer, and extends the time of use of your outdoor living space. Our system also offers superior durability when battling the elements and its why we can offer a 25 year warranty on what we build. 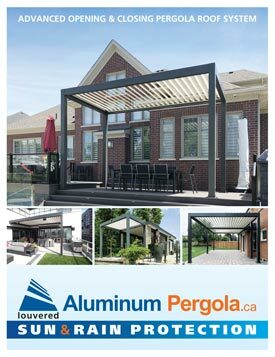 We at aluminumpergola.ca are currently working on a pergola kit solution for our clients. We have received a lot of interest in a “DIY” style solution and are looking into options to give you the best price on a Canadian made product. But do not let that deter you getting a quote on a custom built aluminum louvered pergola by us. When you contact us we get some basic information regarding your wants and needs on your outdoor living space. From there we set up an appointment and one of our experienced team members comes to your home or business and gives you a baseline quote to work with. 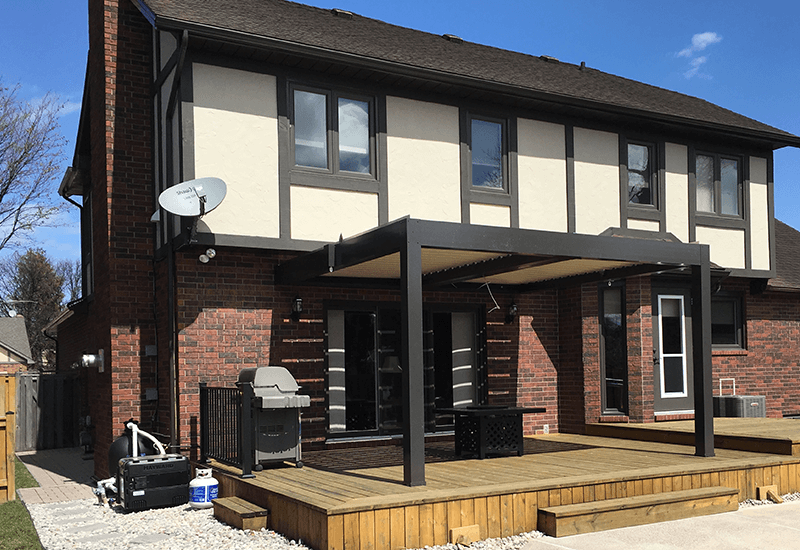 When you decide to work with us we manufacture your custom pergola and in a couple weeks you are enjoying your new outdoor living space. Contact us today and let us enhance your outdoor experience.